Ben and Jade are inseparable. They want people to understand this. This is why when Ben was adopted by the Lawlers, he lasted about three weeks at their home before running away. Following a ten mile journey, Ben returned to the shelter where Jade remained, and the couple licked each other through the fence. 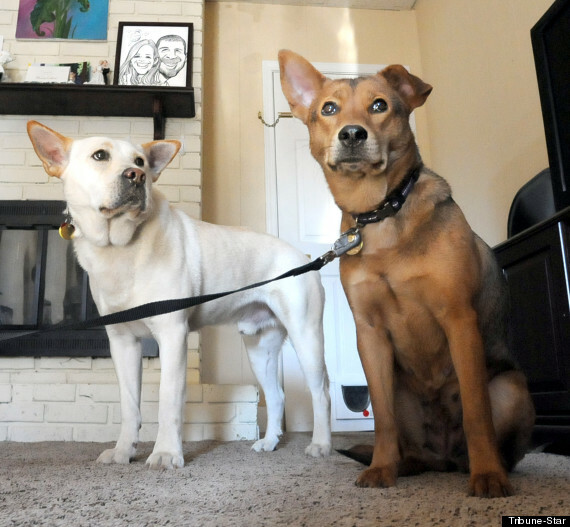 The Lawlers decided not to stand in the way of the dogs’ hearts and adopted both of them. Click the photo to read the full article. Another pound bites the dust: “Obie is 40lb 14oz today, down from 77lbs in Aug.” Woof! Q: What do you get if you cross a sheepdog with a rose? A: A collie-flower. 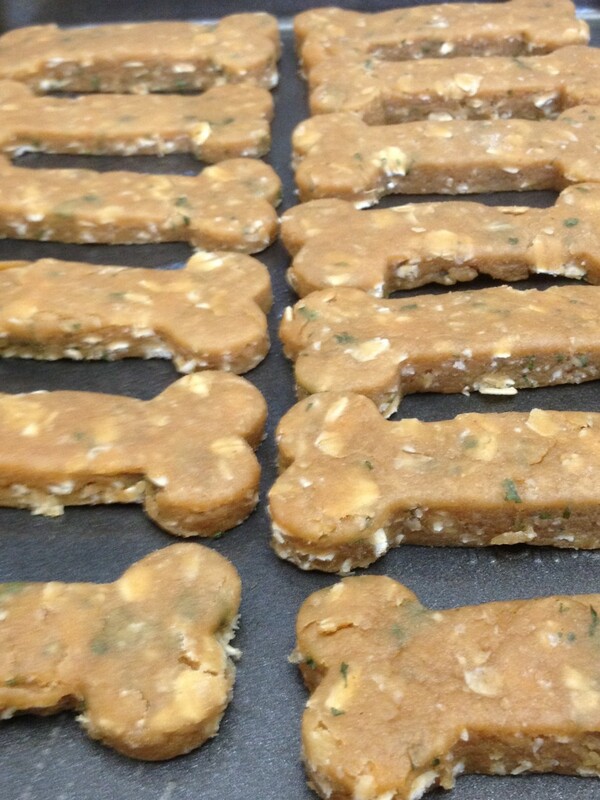 Rather than give a single dog treat recipe today, we’ve found a batch of ten on a single webpage. The land where animal sounds go to be organized, Macaulay Library. Lower your tail and pull me up, buddy. Wait for a Fresh Prince of Bel-Air cameo at the end! Thank you for spending part of your day with us on the Weekly Walk. Like a pet, we always enjoy your company. Bark at us below, on Twitter, or Facebook. Woof!